Finally after an enormous long struggle Bangladesh (Formerly East Pakistan) is ready to taste the true flavors of PayPal a relatable worldwide online payment solution. As Bangladeshi Tiger’s are prepared to welcome PayPal in their traditional style. According to our confirmed sources, PayPal will be released in Bangladesh this Sept 2012 which is the key news for all those countries who are still unable to acquire PayPal which includes Pakistan, Iran, Afghanistan and etc. After some dedications from Bangladeshi bankers and investors, they showed interest in PayPal and hence visited the headquarters of PayPal in San Jose California USA and after a long meeting with PayPal officials Bangladeshi investors were able to convince PayPal officials to start their service in Bangladesh. Still many Muslims countries are yet to taste the true colors of PayPal, but regrettably major country like Pakistan is still incapable to acquire PayPal. If we look at the financial system of both countries (Pakistan and Bangladesh) we will see a big difference as Pakistan is way in front from Bangladesh. But still we cannot underestimate Bangladesh as they have achieved glittering success in real short period of time. No doubt PayPal is the world’s leading payment solution, which allows user to send and receive money in just few clicks and is the only way to reach your customers all across the globe. A top ICT event held in Dhaka last year - Where PayPal officials meet Bangladeshi workers. 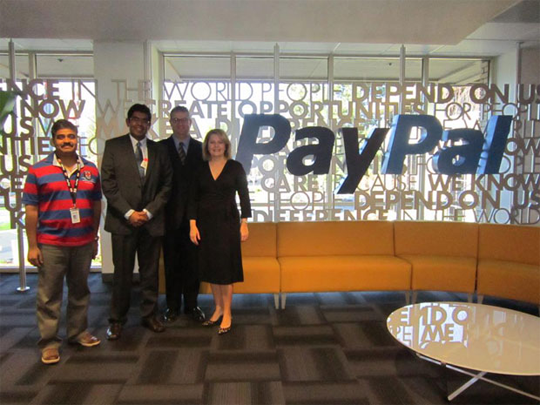 San Jose California USA – Bangladeshi officials met with PayPal officials. 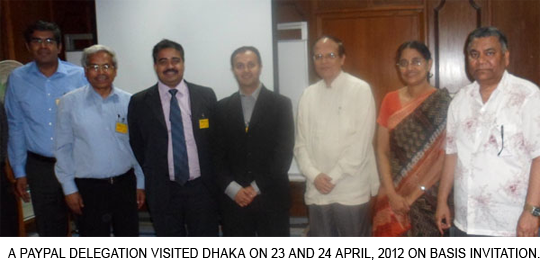 eAsia Conference 2011 – In this conference PayPal officials announced to start their service in Bangladesh from September 2012. What Should Other Countries Learn From Bangladesh? PayPal is the basic need of every successful country so its time that countries like Pakistan, Afghanistan and etc learn from Bangladesh. The way they handled the pressure by rising up to the occasion and coming up with perfect ideas which convinced PayPal to start their service in their state. So its time countries should be dedicated towards information technology and should make awareness among the young troops to learn the correct strategies of technology. While on the other hand governments have to play a major role in bring PayPal in their countries. The most crucial thing which we need to learn is to be dedicated towards our real goal. We should try our best to achieve what we richly deserve and if we follow the correct guideline nothing on this earth could stop us. 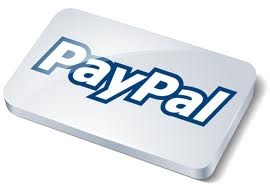 This is the million dollar question for all online community, how we can bring PayPal to our country. After researching day in and day out I came across this conclusion to bring PayPal in your country we have to step forward and we have to play our role as a men power can only solve this crucial issue. Remember there is no question in the world which is unsolvable, the word impossible it self says I am possible so we should be motivated and ask PayPal to start their service in our country. On the other hand the government of our countries have to play it’s part as without government’ s support we cannot achieve which we are desiring. I personally think banker also need to step forward and should highlight this issue because if PayPal started their services in countries like Pakistan we will see a huge flood of economy transfer to our country which will bring number less jobs with it. Hey good news for my bangla bros.Thanks Syed for sharing this. Yes Brother one Of the greatest news for not only Bangladesh but also for other countries who can follow the same steps to get PayPal service in their Country. Thanks and Peace Dude. oh admin !! You've just save my work. PayPal will never launch in Pakistan. Pakistan is a country of terrorism and a dangerous country for the world. USA does not like Pakistan and would not let paypal be launched in Pakistan. Keep dreaming and cross your finger. Poor fellow. Well Its your Own Imaginations Pal, That what you Think but If you Get Close to the Reality You will Realize you are totally wrong. Pakistani peoples promotes peace and loves to share affection. We Loved Bangladesh and we will continue to Love You All As you are our brothers. And terrorism is the problem of the entire world not only Pakistan. Thank you brother Faizan. You are absolutely a great pro blogger I trust. And you are right. There are tons of Muslim pro bloggers in Pakistan, and they also doing online outsourcing. I believe PayPal will of-course come to Pakistan a time later. I wish you peace and long-life. I am still waiting for paypal. But it has no any progress in bangladesh. September is now and so where is paypal in bangladesh. Is it a joke with us? i've read somewhere that paypal will be available in the first half of 2013. we have to wait. I don't know how much do I need to wait. As the number of freelancers at odesk increased dramatically compared to the numbers of employers. Now it is necessary to have some skills that increases the chances of getting hired. I think http://mahfuz.net46.net/how-do-become-successful-with-odesk-as-a-freelancer/ this post will let you know about those skills.